Taylors of Bruton at the Royal Bath and West Show; 30th May through to 2nd June 2018. Wow, what a show! Four days back to back, the biggest event in the calendar year for Somerset farmers, West Country businesses and fans of agriculture and fine food! 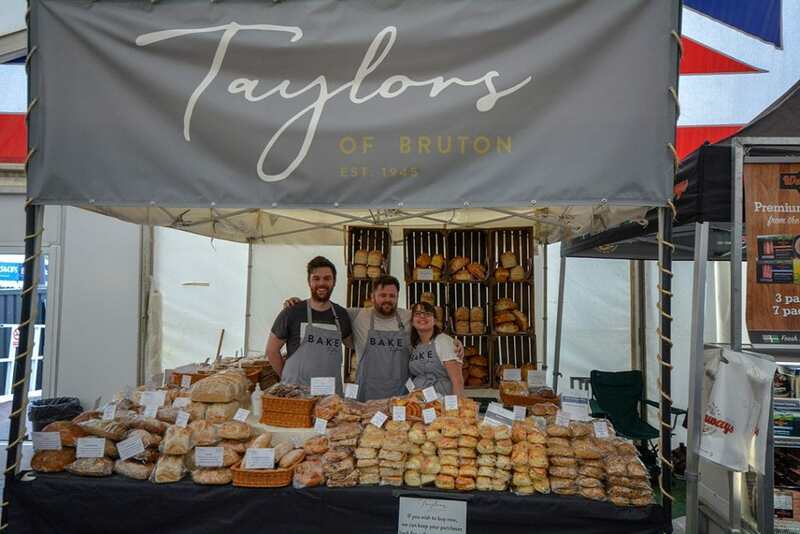 The perfect showcase for Taylors of Bruton to launch a new brand identity, spread the word about our wholesale business and offer free tastings of delicious bakery products. The Taylors stall was located inside the food marquee area and we not only unveiled our brand new logo and company colours but also some exciting new product lines. The Sea Salt and Rosemary Focaccia and Cheese and Jalapeno Focaccia both went down a storm! Thank you to everyone who came to see us and tried our products – we hope to see you again very soon!